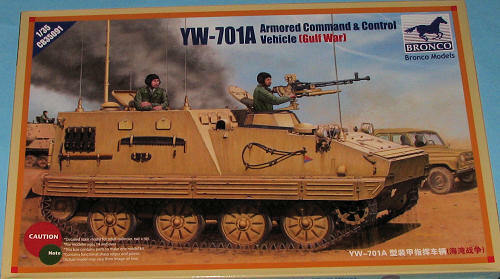 Type YW701 - Export version of the Type WZ701 command post vehicle. Based on the Type YW531C and equipped with a commander's cupola with Type 54 machine gun. This one is molded in a tan plastic. 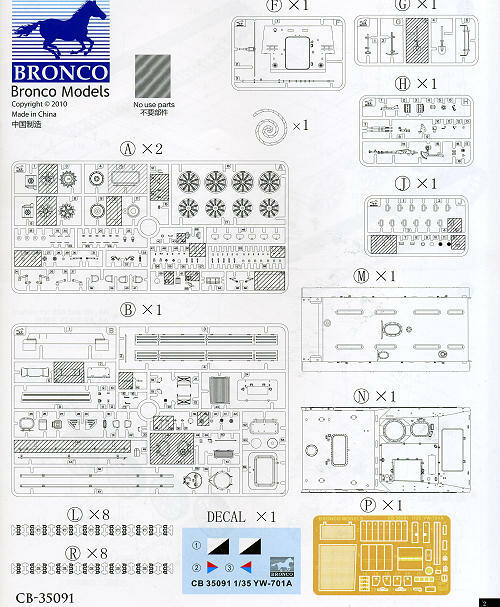 The molding quality is very good, something we have come to expect from Bronco. 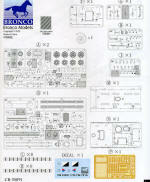 The kit has individual track links and these are on plastic sprues marked for the right and the left side. Included in the kit is a nicely done photo etch fret. This fret is mostly for screens and various brackets around the vehicle, including those that hold on the side skirts. From what it seems, the kit cannot be fully built without using the photo etch fret. The usage is logical and not all that complex so those who tend to shy away from the medium should be OK with it. There are parts that will not be used when building this variant. Instructions are in a booklet form with 19 well drawn construction steps. It is in color and provides painting information where it is appropriate. There are also small detail drawings for those items where it can help to get a close-up of where they fit. Markings are for two Iraqi vehicles with minimal markings in overall sand. Both are from the Iraqi Army during the 1991 Gulf War. Decals are nicely printed and should work very well. 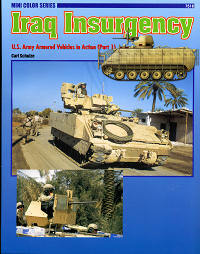 Dragon USA has started adding bonus books to some of its Bronco kits and this one contains the Concord book Iraq Insurgency pt 1 from 2006. I'm thinking this is a way for them to take care of overstocked books and add some value to the kit as well. One doesn't know what book is in what kit, so it is always a surprise to see what you'll be getting. Though perhaps not on everyone's wish list, it looks like a great kit that should build up into a very nice model. For sure it will be something a bit different and that is really the attraction of kits like this.